I wasn’t going to post about the keto diet. Our blog has too many topics as it is and keto didn’t seem like a fit at all. However, I have written about my mental health quite often, so it makes sense to update you with any changes I make. Please note that I am by no means a professional. This article is strictly my experience, my thoughts, and my own opinions. Throughout my teens and twenties, I was a notorious yo-yo dieter. My mindset was completely wrong when it came to eating. I went on diets for the effect, not the health benefits. I’d choose whichever eating plan would allow me to drop five pounds for an event, only to inhale everything in sight the day after I had to fit into an outfit. Dieting was purely for vanity. One of the diets I’d often turn to was the Atkins Diet. When I first heard about the ketogenic diet, I assumed it was Atkins renamed. I was wrong. Atkins is high protein and keto is high fat. That’s an elementary explanation of the difference — there’s a lot more to it. My energy and mental sharpness were optimal every time I did Atkins, it just wasn’t sustainable, and I would always end up with kidney stones. Now that I am forty, my thoughts have changed. I now care about my health first. My mental and physical health are my main concern. Of course, any weight loss and improvement in the looks department is a welcome side effect. After years of letting myself go to put business first, it was time to make some drastic changes. A little tweak in my diet here and there was not enough to challenge the health problems on my ever-growing list. I needed a serious reset. Keto is restrictive and extreme compared to how I was eating. It may not be a massive change for all, but it certainly was for me. Knowing how well I did on low-carb in the past, I felt capable of diving in. 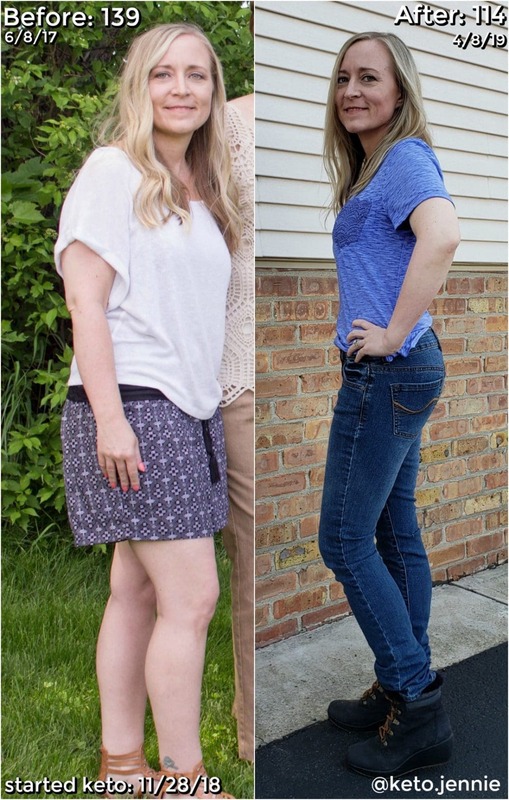 With a new outlook of “health first,” I started the keto diet with excitement. I’m struggling on how to organize this post. So, let me simply break it down by what I notice most after 36 days of the ketogenic diet. My doctor diagnosed me with hypoglycemia a few years back. She sent me to get the more extended glucose test — the one where they test every three hours? — I am not entirely sure since I fainted after the first round. To say I was on my way to diabetes is not an exaggeration. Diabetes runs in my family, and with the way I was eating, I have few doubts that the train was pulling into the station. Starting keto was rough on my blood sugar the first few days. I was dizzy and light headed often, and maybe it was a dumb move. Since I work from home, I never felt like I was in any danger. A carb was never far away, and I made sure to pay close attention. I quickly found that eating a half an avocado with my breakfast helped tremendously. Again — this is not advice! Now, after 36 days on keto as of today, I can go hours between meals with zero dizziness. I haven’t had any blood work done, but based on how I feel, I would guess my blood sugar issues are a thing of the past. I’ve been extremely open about my mental health and anxiety on this blog. That’s one of the reasons I chose to share this journey with you. I’ve racked up a few mental illness diagnoses, but I don’t like to put a label on anything anymore. Everyone wants to put you in a box, but I feel like once they do, it’s easy to experience even more issues that “match” your new illness. Does that make sense? As for my anxiety on the keto diet, it’s very different for lack of a better word. Balancing my blood sugar helped with some of the symptoms that I thought were anxiety. My mood swings are pretty much gone. If I do have a significant mood swing now, I can usually pinpoint the cause. Before, my rollercoaster emotions had no rhyme or reason. Now, I can identify the triggers. When anxiety does rear its ugly head, it feels sharper, again, for lack of a better word. It’s almost more intense, but I also feel more capable of handling it. The mental fog has cleared, and I feel like I can shake it off a lot better than before. Again, I can identify the triggers in most cases, too. I haven’t had any bouts of depression. My overall outlook on life is brighter and less doom and gloom. For a while there I had a dull headache every single day. I felt stupid, sluggish, tired, and utterly foggy-brained on the regular. While my sister struggles with migraine headaches, mine rarely got to that point, although, they sure felt like they could some days. Since cutting sugar and carbs, that constant dull head pain disappeared. Gone are the excruciating stabs to the temple out of nowhere. My mind feels clear, sharp, energized, and just ready for life. I no longer yearn for afternoon naps and even stay up later on most days because I’m eager to get things done. Starting the keto diet required a bit of an investment for me. It doesn’t have to for everyone, but I wanted a few supplements to help ease into the transition and to help prevent kidney stones since I’m prone to them. We are not in the financial position right now to increase our grocery shopping trips. Many keto experts suggest all organic, grass-fed, and quality foods in general. Honestly, I have not entirely followed those suggestions yet. I buy regular eggs in bulk, used up our basic butter, and buy the meat I always have. However, the more I learn, the more I want to make better choices. I just have to do so as our finances allow. To balance the spending, (because isn’t it easy to justify everything we want in life?) changes have occurred that, in fact, save us money. I buy fewer snacks, eat less daily, rarely eat out, cut some medications, anticipate fewer doctor appointments, and have gained more productive hours during each day. Starting the ketogenic diet hasn’t all been sunshine and rainbows. The first three days were the hardest physically, but I still have cravings. Sometimes I feel like I’d cut people for some fries, but it’s tolerable. To try to prevent boredom, I search for keto recipes. So many of them include almond flour, and I have a serious food intolerance to almonds. So, I will have to experiment with peanut flour and maybe coconut flour even though I’m not a huge fan of that flavor. I also found out that I cannot have erythritol, which is a popular sweetener used in several recipes and products on the market. Heartburn has been a hurdle, as well. Apparently, my body isn’t a fan of a ton of leafy green vegetables yet. After 36 days on keto, I’ve quickly learned that if I have a problem, the solution is most likely lemon juice, ACV, or electrolytes. The sweetener struggle is real for this super-sweet-tooth-having person. But, it’s not a deal-breaker. The benefits of the keto diet far outweigh the challenges thus far. I almost forgot the part everyone probably wants to know. After 30 days on the keto diet, I lost 10.6 pounds. It’s important to know that I didn’t have all that much to lose, and what I have lost is most likely all water weight. I would guess that I can safely lose another 10-15 pounds. But, man, whatever did drop off is so freeing. As much as I said this wasn’t about the weight loss, it sure is fun to go digging in the deep end of the closet. I pulled out jeans from years ago to wear on Christmas day. With zero exercising, I feel like layers have dissolved off my body. I’m now motivated to workout to help shape and tone up even more. As I said, it’s only been 36 days, so the chances are good that I’m still in the honeymoon phase. But, I truly believe if I had carbs, I would quickly miss the feeling I have now. The mental clarity alone is worth doing this for the long haul. P.S. Notice how every title contains the word “MY?” That’s because, again, this is my experience. Nothing in this post is advice or a prediction of what will happen to anyone else on this diet. Consult your doctor before making any drastic lifestyle changes whatsoever. P.P.S. Don’t be surprised if the next post on this blog is a sugary, magical dessert. Not much will change on this blog. I’m just sprinkling in a little personal journaling along the way! 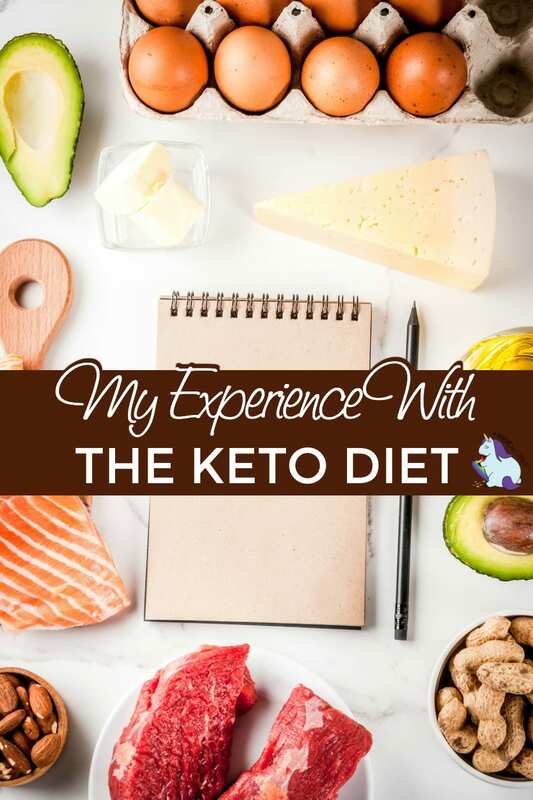 Do you have any interest in hearing more about my experience on the keto diet? Thanks for posting this!! I fantqasize about going keto all the time but fail …I actually just picked up the whole30 book which is similar but allows more fruits. keep us updated!! Oh awesome! Thank you, I will! 🙂 Keep us posted on Whole30. I don’t know much about that one yet. I did the keto diet for a few months and struggled with insomnia the whole time, which in turn gave me anxiety. I’d never experienced this ever before. I’m glad you’re experiencing the opposite effect. It’s funny how differently our bodies react to diets. I ultimately had to quit keto when I developed a life threatening blood clot. Be very careful because this diet does thicken the blood and makes clotting easier. I’m now mostly a fish, veggie, and fruit eater and feel the best I’ve ever felt. Good luck to you and I hope all goes well with your health. My goodness about the blood clot! That is scary, thank you for letting us know! I have had several nights where it’s hard to fall asleep. I still take Lunesta to sleep at night. I’ve decreased the other meds I was on, but that one stays the same for now. It’s so true that all our bodies are different. I plan to really listen to mine and tweak when necessary. Thanks again for the comment! I’ve read a bit about Keto but I’m so addicted to carbs I need to learn to eat less of them first before cutting them out completely, if I even can. Thank you for sharing your experience. I was too! I was eating at least a pint of ice cream a night. I would get shaky if I didn’t have it! Definitely go slow if you plan to do it at all.